Autumn is now well and truly underway. The streets are blanketed with fallen leaves in hues of russet, orange, red and yellow. There’s a crispness in the air and a definite drop in temperatures. With daylight hours diminishing, and longer, darker evenings drawing in, this is the perfect time of year to start filling your home with warm, cosy autumnal fragrances. Here are our top three fragrance recommendations for this wonderful season. We’ve included some old favourites and added a stunning new limited edition autumn/winter fragrance. A strong, warming, earthy fragrance with notes of woodsmoke, cedar wood, oak moss and just a hint of patchouli. The unmistakable aroma of a cosy log fire burning in the hearth. This is the ultimate fragrance for creating a perfect cosy, ambience your home. This limited edition fragrance is only available during autumn and winter, so grab it while you can. What could be more autumnal than blackberries? This classic fragrance combines the sharp, sweetness of blackberries and the herbal notes of aromatic bay leaves. A year round favourite but a particular favourite for this time of year. A beautiful blend of cedar wood, jasmine, sultry amber and soft musks. This softly enveloping fragrance is both soothing and relaxing. The perfect choice if you need to de stress at the end of a hard day. Creating a wonderful, cosy autumnal ambience in your home will be easy with any of these beautiful, unisex fragrances. confirms the change in seasons. Pumpkins start flooding the supermarkets, the streets are blanketed in red and orange leaves and the air becomes crisp. 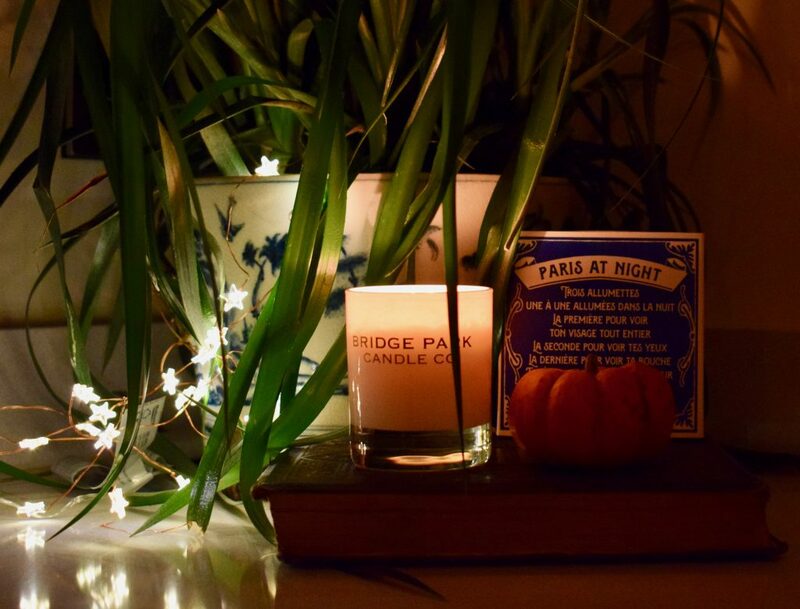 It’s also the best time of year to start filling your home with warmer, more festive scents adding that extra bit of cosiness on the darker evenings. Here’s our top three scents for this season, some oldies but goodies! 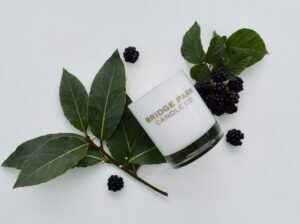 A beautiful classic scent that gives off a slight sweet smell from the blackberries which is complimented by the earthy smell of bay leaves. Although this is an all year round fragrance, it really comes into it’s own in the Autumn. This is one of our more intense scents that is perfect for this time of year. It has a mixture of notes with sweet cedar, floral jasmine and warm amber. This scent will fill your house with a beautiful musky fragrance. A personal favourite… This scent gives off all those festive smells of cinnamon, orange, cloves and nutmeg. If you’re a fan of those Christmassy scents, then this is a perfect way to ease yourself in and get ready for our Christmas collection! I’m amazed at just how quickly the days, weeks and months are rushing by this year. 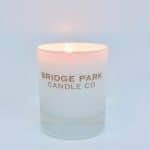 It’s nearly August and what a year it’s been so far for Bridge Park Candle Company. After nervously setting out my stall and selling my first candle at Denbigh Town Hall last November, I’ve launched a range of mini candles and wax melts and 3 beautiful new fragrances. I’ve been all over North Wales and the North West, Shropshire and Birmingham and have met so many lovely people along the way. My wonderful husband John has been with me every step of the way. He’s chauffeured me around with boxes of candles and melts, fetched the bacon and egg sandwiches, coffee & biscuits and provided lots laughter, chit chat, good advice and all round general support. The presentation of my stall has evolved from a row of lonely looking candles lined up like soldiers on parade to a full, colourful, display which is not exactly my perfect stall yet but is well on it”s way. It’s been a super busy time so I’ve had to introduce some extra discipline and structure to my days in order to keep on top of it all. When I reflect on the year so far though, what stands out most for me is the fabulous support and encouragement I’ve had from my wonderful family & friends and of course all of my lovely customers, some of whom I now consider to be friends. I’m excited to see what the rest of the year brings. 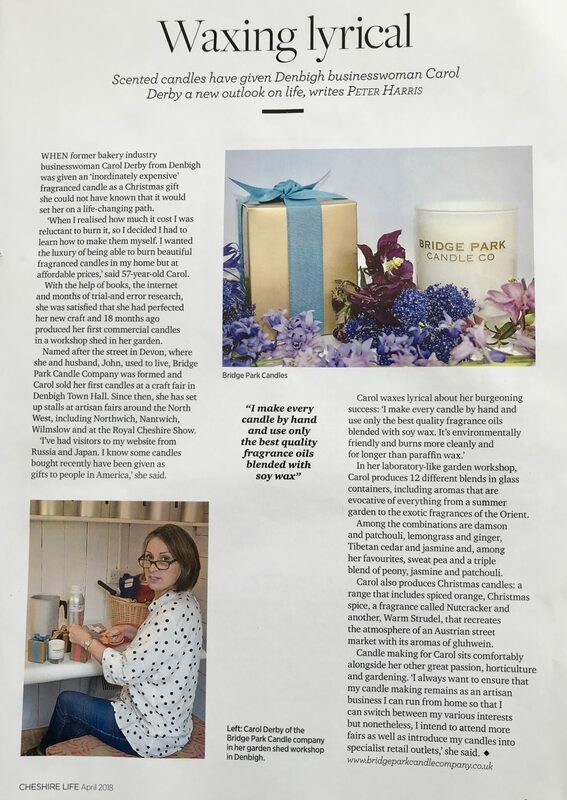 I’m busy testing new fragrances so watch this space for news of my next new fragrance launch, and of course I’m already planning my range of Christmas fragrances and gift packs.